Empowerment and teamwork are buzzwords of progressive human resource practices. Along with these new job design methods come reduced hierarchical control mechanisms. In light of recent ethical scandals, there is considerable concern regarding the effectiveness of the control systems of these more recent work designs. This study compared the willingness of participants to report unethical behavior when presented with work scenarios in which the perpetrator was in the relative position of team member, peer, or subordinate and in cohesive or non-cohesive conditions of relational closeness. After accounting for the covariates, both main effects and interaction effects were found, indicating that reporting behavior was influenced by relative position and relational closeness. Diane Miller is an associate professor of organizational behavior in the Faculty of Management at the University of Lethbridge. Diane has published in Small Group Research and The Canadian Journal of Administrative Sciences. Her research interests focus on team processes and outcomes, and include studies of the diversity and measurement of teams. Dr. Stuart Thomas is an assistant professor of accounting at the University of Lethbridge, Alberta, Canada. 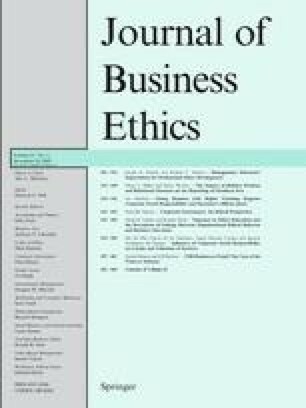 Stuart has published in the Journal of Accounting Case Research, Advances in Management Accounting, Research on Professional Responsibility, and Ethics in Accounting. His current research focuses on ethical decision-making and the effects of various pay schemes on performance and work standard setting.